Ok, maybe I should start with some honesty. I did not climb a volcano, I was lucky and find a driver who drove me to the highest point possible and then I walked up the hill as far as I was able to with limited time and resources. But still, I almost climbed a volcano, it was my first time so close to a volcano and that counts for a proper topic of a travel story. 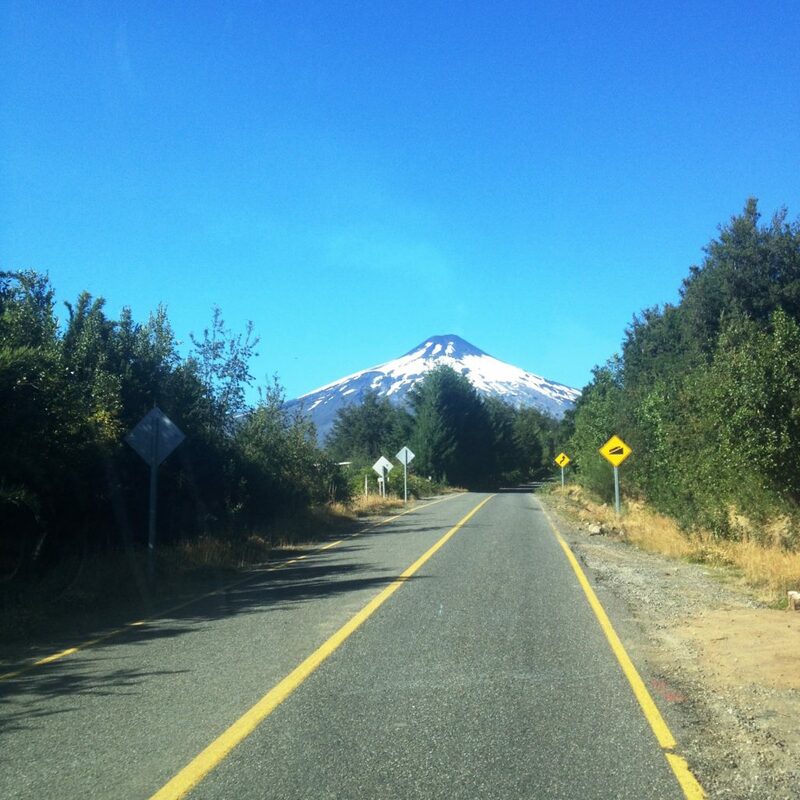 This travel story is about the Villarrica volcano which is situated 20 kilometers from Pucón, Chile. It’s one of the most active volcanoes in Latin America and it last erupted in 2015, exactly a year before I was visiting. Its altitude is 2860 meters above sea level, and although I didn’t make it even close to as high as that, the view of surroundings was breathtaking! 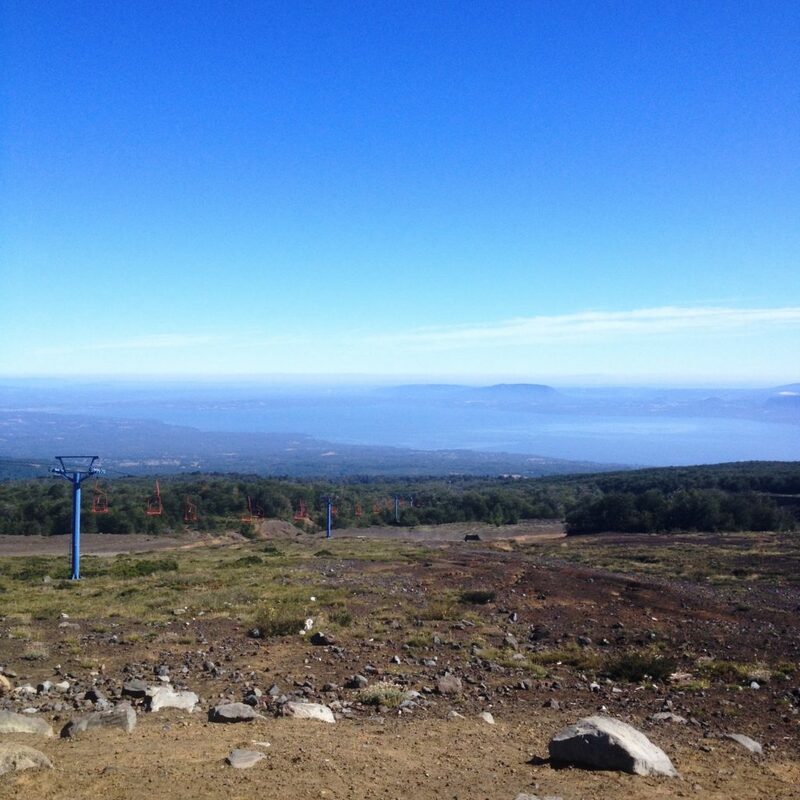 You can see the city of Pucón, beautiful Villarrica lake and also some other volcanoes. 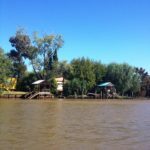 Which is normal in Chile because there are more than a hundred of them. 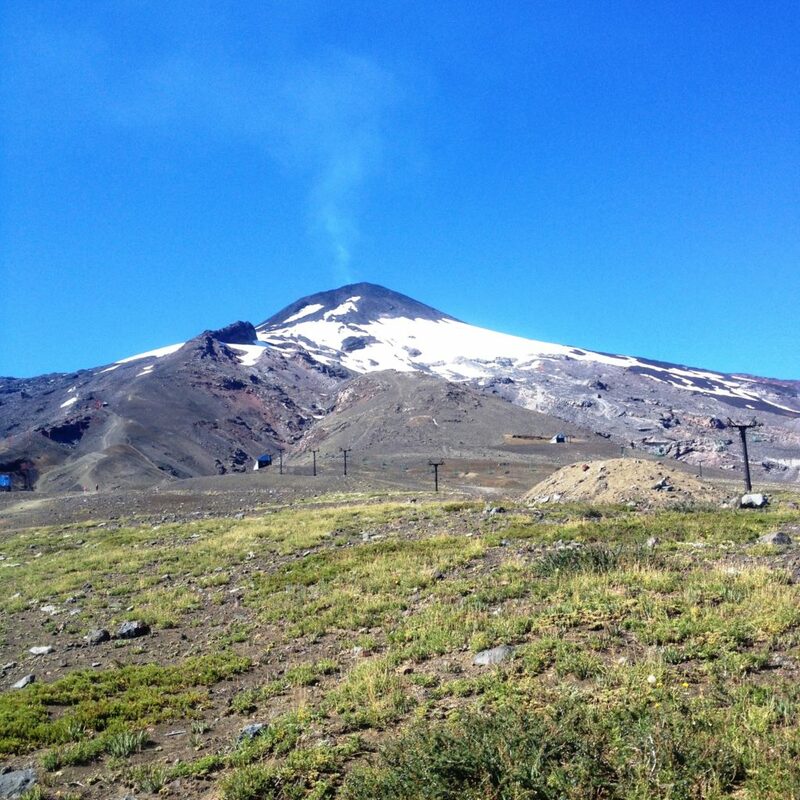 When looking up to the upper part of volcano, you can see snow, which is there permanently, and glaciers. So in the wintertime they open a ski resort here. 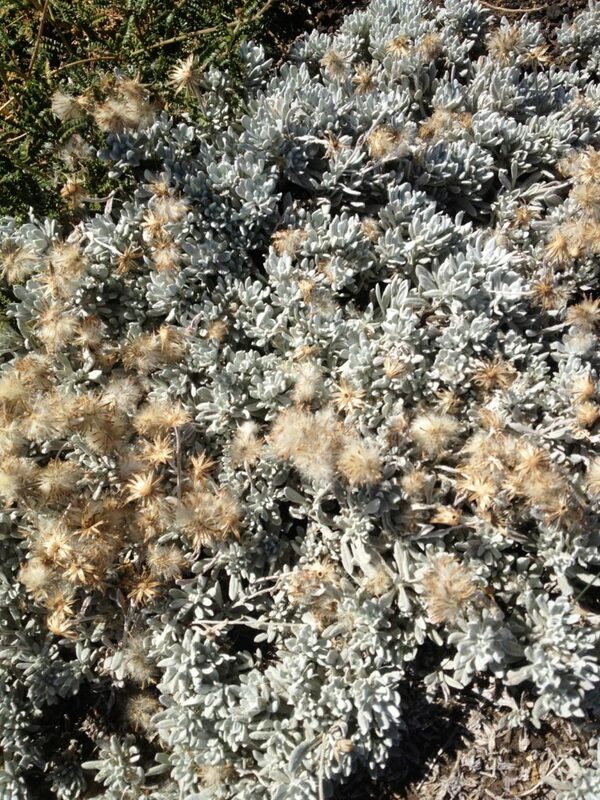 I was there in the summer, so I saw some interesting plants, black volcano rocks and the smoke going out of the crater. 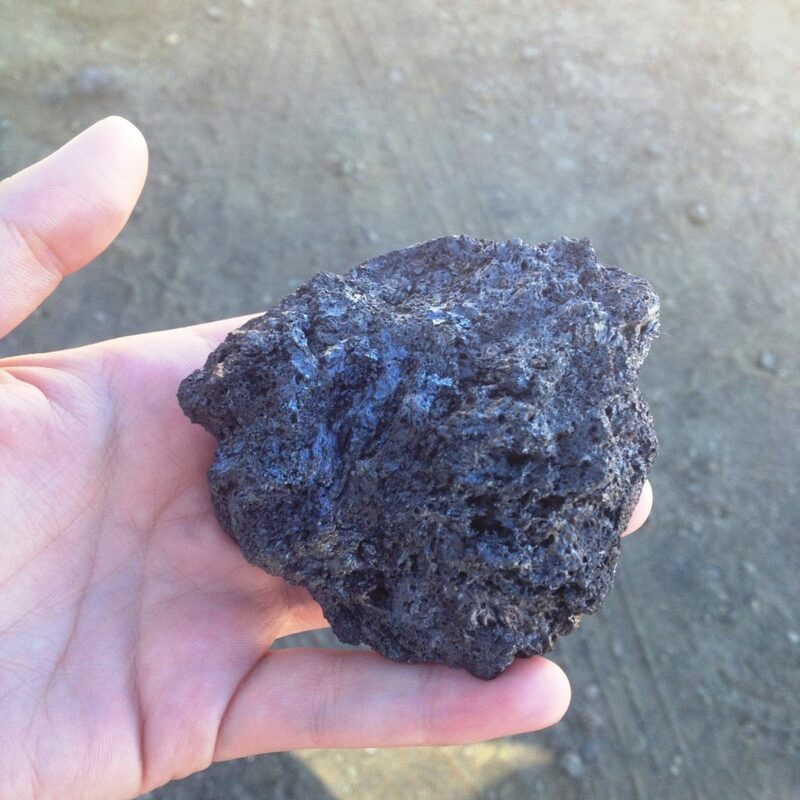 Makes you think you should know the protocol in the case of eruption. 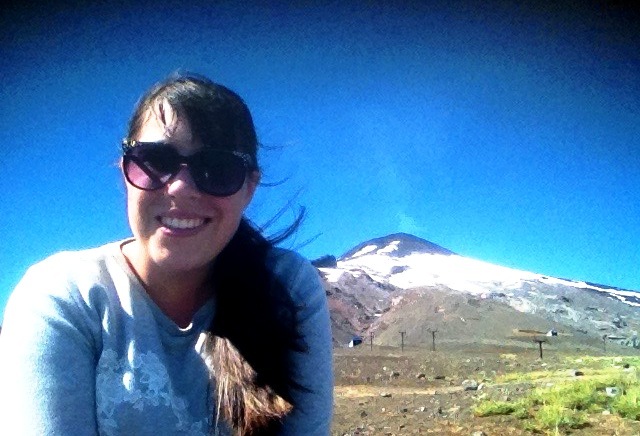 And it was such an amazing feeling being up there, so close to the giant and potentially dangerous volcano, breathing the fresh air, enjoying the amazing view, far away from crowds! I was really lucky to make it to this place! 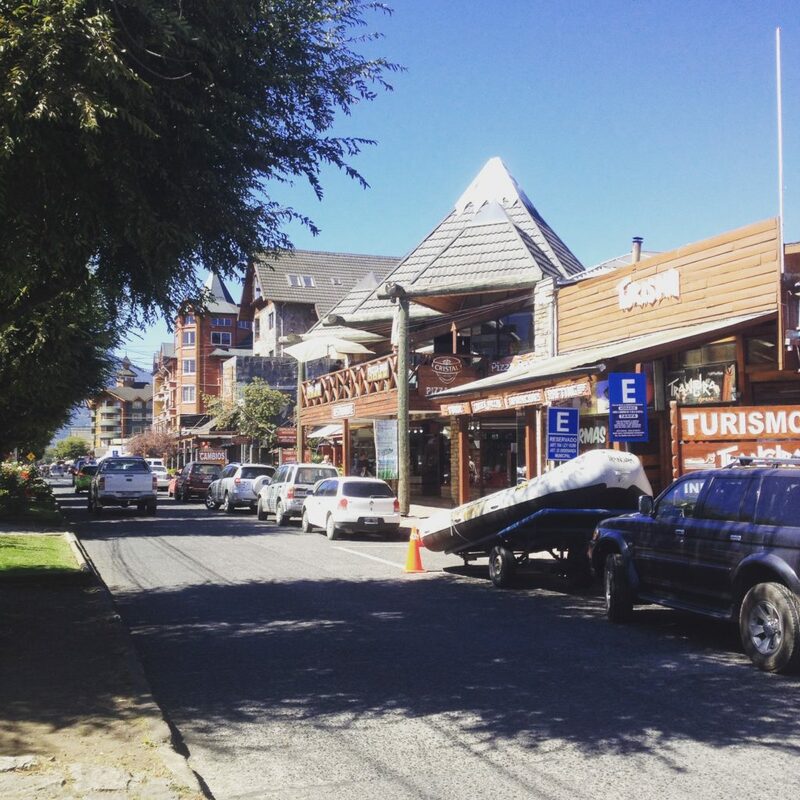 Firstly, it was not the easiest to come to Pucón. 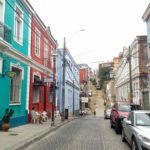 When planning my travelling through the south of South America I saw on the internet there is a direct bus from San Carlos de Bariloche, Argentina, to Pucón, Chile. However, I was there off season so this bus didn’t operate and Pucón is a small city not the first destination one goes to in Chile. 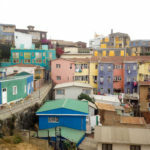 I struggled to find a new way to get to Pucón and found out I could take a bus that goes to Puerto Montt, Chile, and get off it in Osorno, Chile, wait there for a few hours and catch one of two buses that go from there daily to Pucón. 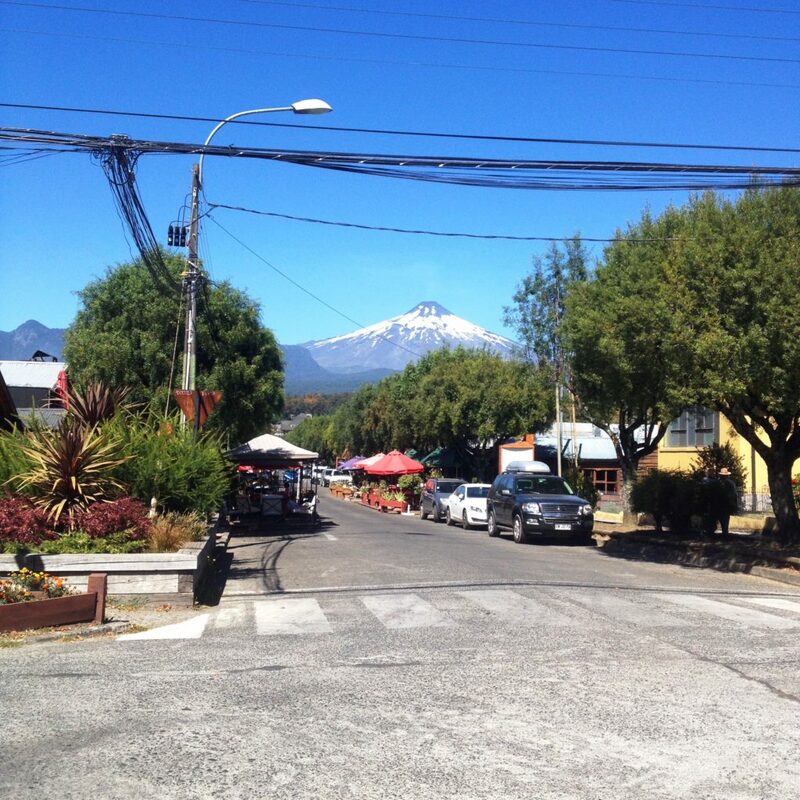 So it took me the whole day to get there and I was left with only one day to see the volcano and the city of Pucón. So the next morning I went to the main street Av. 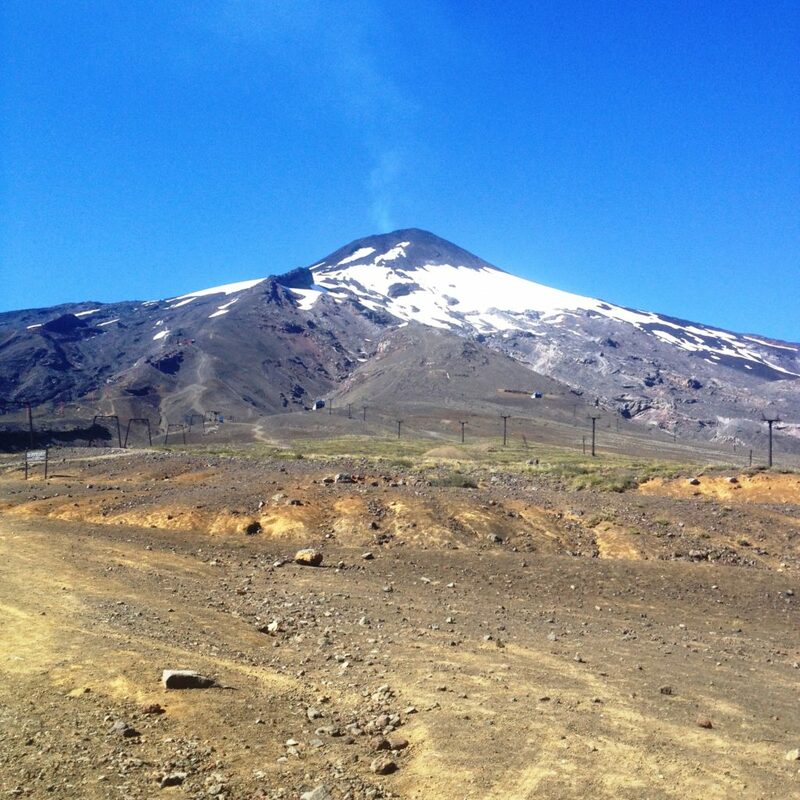 Bernardo O´Higgins where there are many tourist agencies that offer to drive you to the base of the Villarrica volcano. (They can also arrange a tour to go to the top of the volcano, if you are ready for a real climb.) 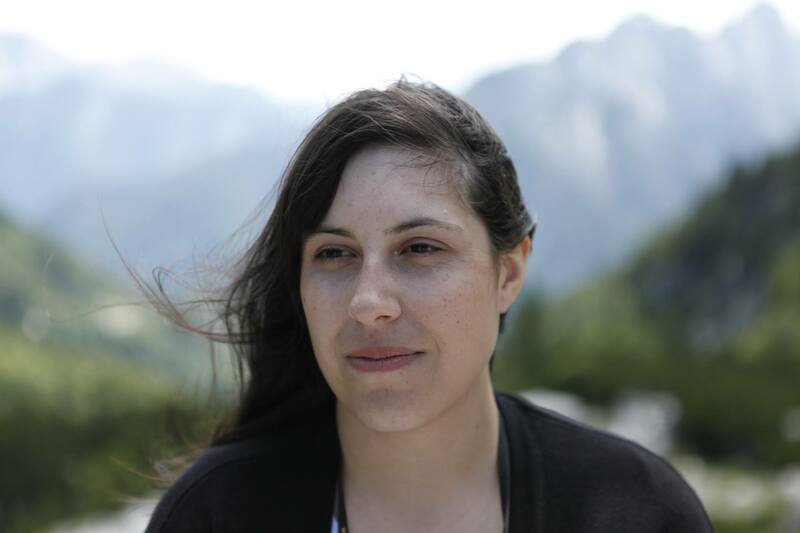 However, if you travel alone, as I did, you have to be lucky either to find more people who want a drive to the base, because they have a policy of at least two people per drive, or you can try to persuade them so they drive only you. As I said I was there after the main season so there weren’t a lot of tourists in the city. But after asking at few travel agencies a nice driver took pity on me and drove me up alone. It was quite an adventurous drive uphill. And we had a nice chat in Spanish so on the way back he even drove me around the best spots of the city. 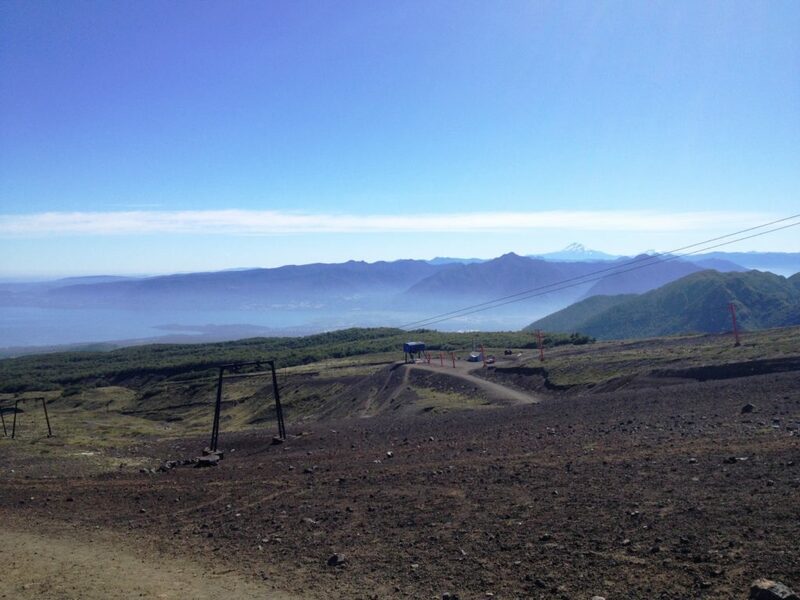 Volcano Villarrica is also beautiful from far away. 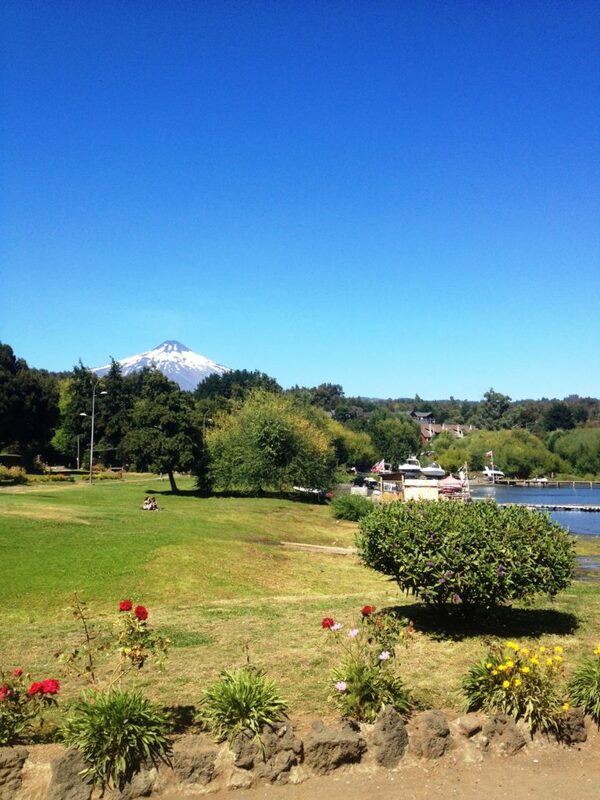 You can admire volcano from every corner of Pucón. It’s really enormous and it looks closer to the town that it really is. 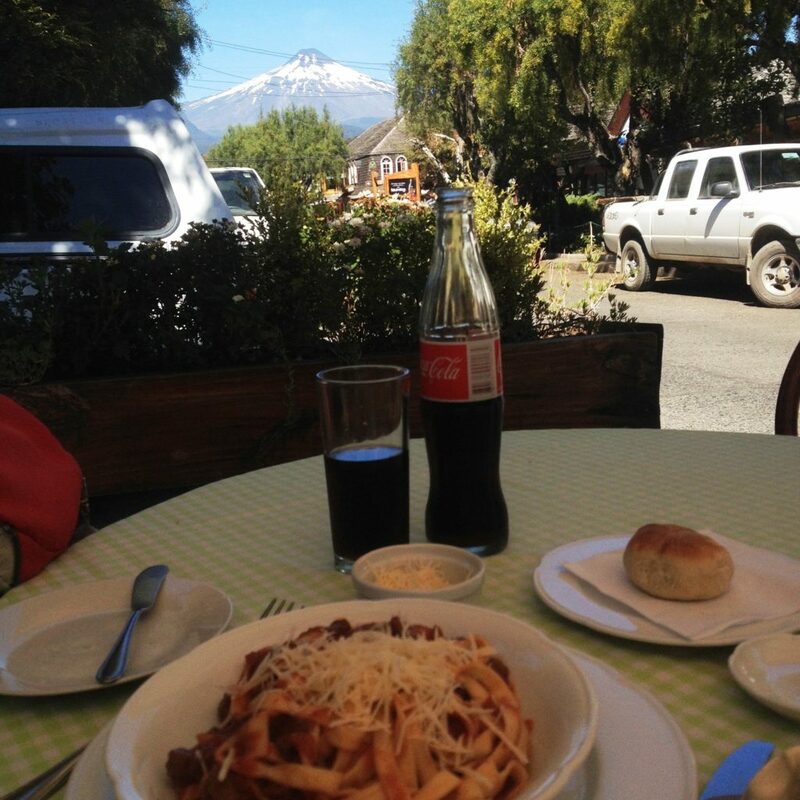 So after my climb, naturally, I had to reward myself with a lunch with a view (of Villarrica volcano of course). Being there and can confirm – it’s worth going there. 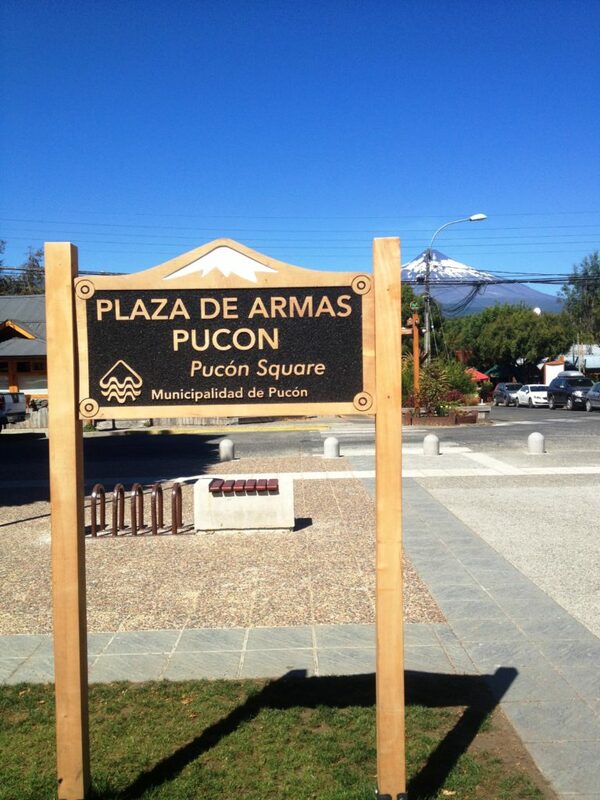 Pucon and Villiarica are awesome.